The new Eagle Mark 3 comes with outstanding 26,460 x 17,004 pixel = ca. 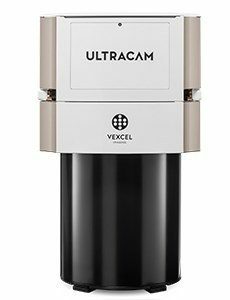 450 Megapixel. Its favorable b/h ratio, Outstanding signal/noise ratio (SNR) and the further improved frame rate makes this Eagle M3 to the new flagship of Vexcel. The Ultracam Eagle M3 is included in our GSD calculator, download here.